On December 15th and 16th three of our youth athletes competed in Vaduz, Liechtenstein at the Pole Sports and Arts Association (POSA) World Championships. Haley Pafford, Athena Roberts, and Jayden Vyne spent months preparing for this international competition after qualifying in March 2017 at the US Pole Sports Federation Championships here in Jacksonville at the University of North Florida. Haley, age 16, has been dancing her entire life and first started taking aerial classes with us, but soon fell in love with pole sports. Her incredible flexibility and grace are always inspiring and her performances are beautiful. She has taken classes at many dance studios throughout Jacksonville, FL, but her favorite is Bittersweet Studios! How long have you been taking classes at Bittersweet? Almost4 years now. 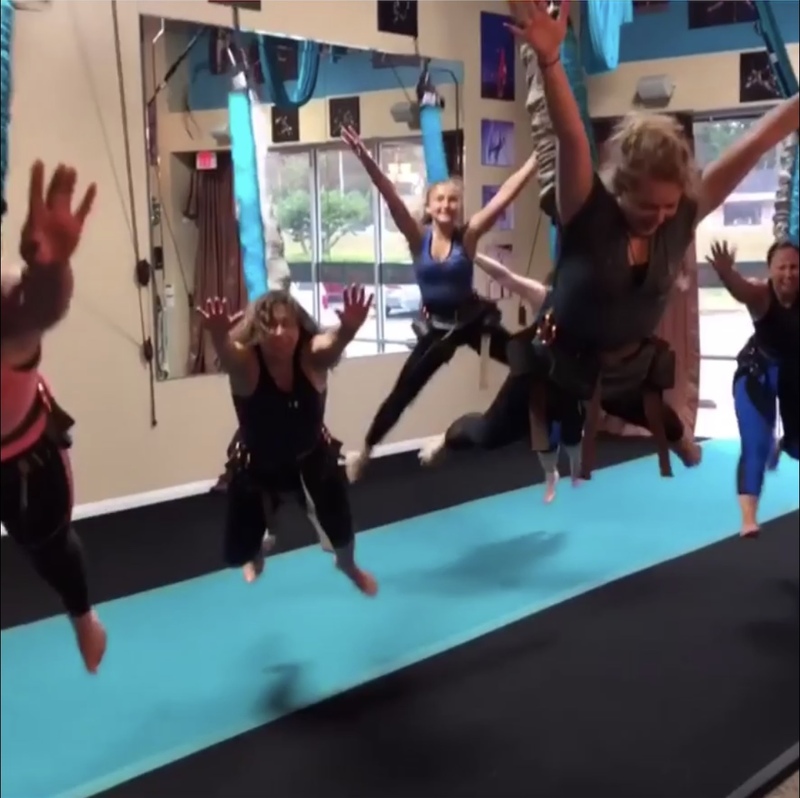 What is your favorite aerial class? I enjoy Kat’s Lyraography class a lot. What is the most fun part of competing? Definitely not the preparation! I love actually performing it on stage and showing everyone what I’ve built during hours of practice. What advice do you have for someone taking a pole class for the first time? Take an Epsom salt bath afterwards! Athena, age 11, began her athletic journey in figure skating and wanted to take aerial classes to improve her strength, balance, and flexibility. 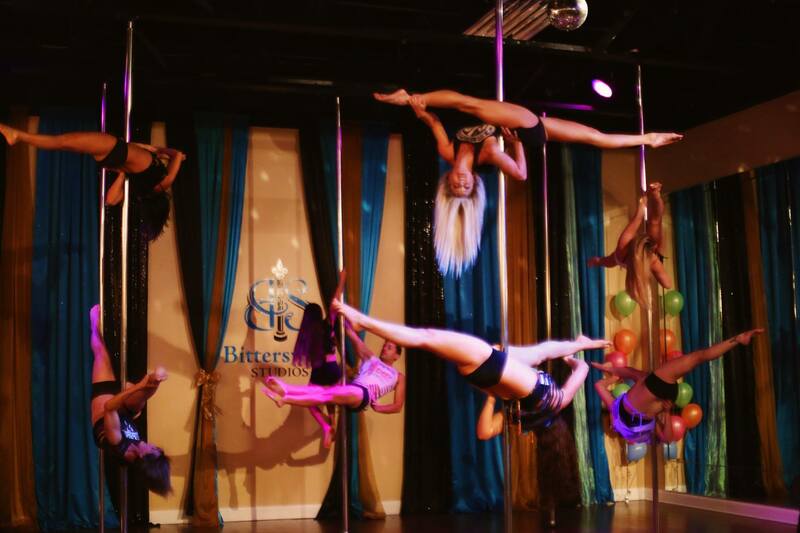 While taking aerial classes at Bittersweet Studios, she grew curious about what was happening on the other side of the curtain and took a pole class. She discovered the joy of dancing on and around the pole and her strength and flexibility have definitely improved in her two years of taking aerial classes. What is your favorite aerial class? Silks. What is the most fun part of competing? 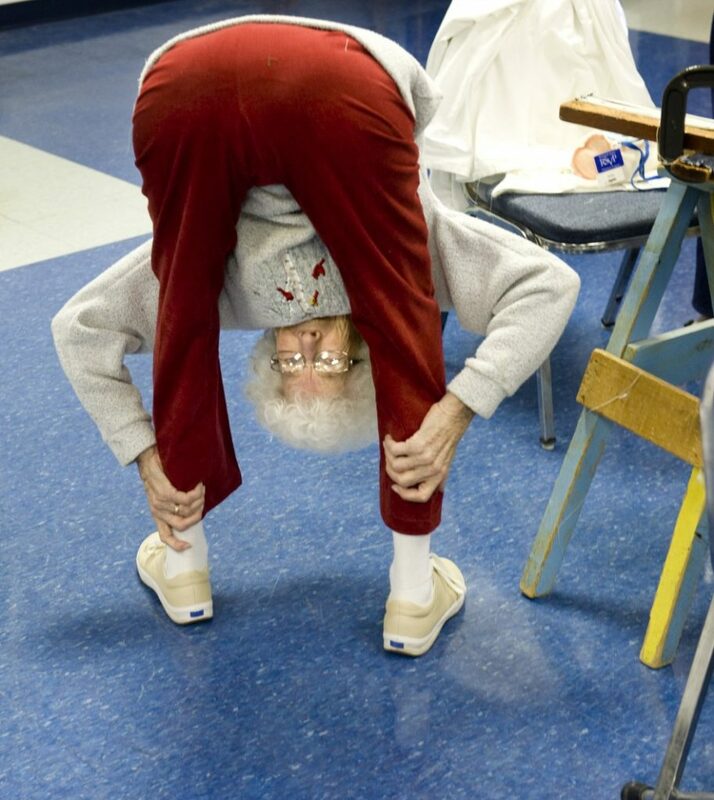 The relief of getting the routine done! What advice do you have for someone taking a pole class for the first time? Try your best: it doesn’t come easily but you’ll get it! Jayden, age 14, has worked tirelessly over the past several years to hone her skills in all areas of aerial dance at Bittersweet Studios. She loves both lyra and pole and always chooses unique music for her performances, using her extreme flexibility to create one-of-a-kind movements. She takes multiple aerial classes a week with us and we’ve loved seeing her strength grow! What is the most fun part of competing? I love meeting people on the team and from other countries. What advice do you have for someone taking a pole class for the first time? Just try your best and don’t give up.